The Taken trilogy is a force to be reckoned with. In fact, Taken3 made an impressive $93 million at the world-wide box office as fans flocked to their nearest cinema to watch ex-government operative Bryan Mills (played by Liam Neeson) in action for a third and final time. Without doubt, one of the most iconic (and widely spoofed) parts of the first film is the scene in which Bryan Mills answers the phone to the kidnappers who have taken his daughter. When reading the script for A Walk Among the Tombstones, Neeson spotted another phone call scene where he talks to the bad guys. In fear of being typecast, he almost said no to the role. Apparently the potential of a big pay check wasn’t the main reason for signing up to star in the first Taken movie, it was martial arts. Liam Neeson took on the role of Bryan Mills so he could spend four intense months in Paris learning Nagasu Do (a hybrid of Judo, Akido and Ju Jitsu) for the movie’s fight scenes. Although there are now three highly-entertaining Taken films, the third instalment almost didn’t happen. Liam Neeson was keen to return to the role of Bryan Mills but he didn’t want someone to be taken again in the third movie, so the film’s format was changed. This resulted in a fresh and exciting addition to the Taken franchise with a gripping plot and action-packed climax to match. Father’s Day is fast approaching and it’s time to get shopping. 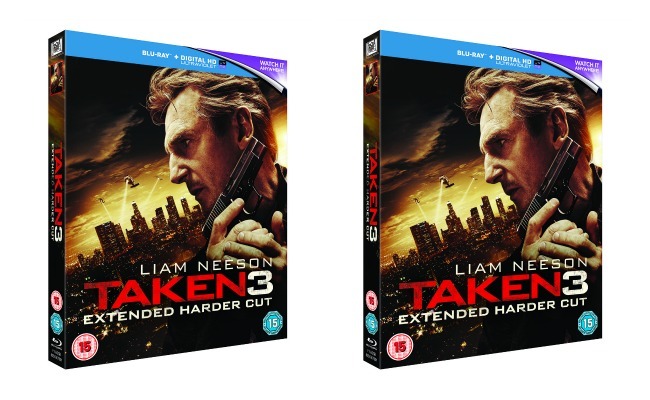 Buy any of our fantastic gift experiences before Father’s Day and be entered into our grand prize draw for a chance to win a bundle of great prizes – we’re even giving away 20 copies of Taken3 on Blu-ray to our lucky runners up. Don’t miss out!